Not too many years ago, I was a believer in the "Any gun will do if I know how to use it" mindset. I've gotten over it. Safe Queens are fine to get out and shoot for fun or interesting purposes. Target pistols are great for target shooting and are fun for plinking. Large frame revolvers are handy for hunting or for the backcountry where the possibility of needing to defend yourself against a large animal is a possibility. AR style pistols are an up and coming thing with several legitimate uses. What about competition pistols? Once again, there are a variety of competitive events for hand gunners that range from stock pistols to those heavily modified. However, none of those handguns are the reason for this short article. Just being upfront about it, I am not the first to offer a written opinion about which gun(s) are best, nor will I be the last. Some will agree with me, some will consider this information and weigh out pros and cons, some will dismiss it out of hand because their ideological dogma won't allow them to be completely objective. That being said, here goes. A defensive pistol needs to be a simple tool that fits your hand, the primary controls can operated with only one hand, and it should have minimal bells, button, switches, and levers. The recommendation of most modern defensive firearms instructors is going to be the use of a modern striker fired pistol without an external safety switch that needs to be activated via a fine motor skill in order to fire. These types of guns would be Springfield Armory XD series, Glocks, Smith & Wesson M&P, and others of a similar nature. There is a huge advantage to using the modern striker fired pistol. If you get a quality pistol and use quality ammunition, they work. As a defensive firearms instructor, my thinking has evolved over the years about several things and this is one of them. That being said, if your only access in the time of need is a Llama 1911 you find in the ground, I would say use it if you can. However, you have an opportunity right now to make some decisions ahead of time should the Dynamic Critical Incident happen to you in the future. One of those decisions should be centered around "What defensive firearm is most efficient to defend myself or those I care about", not "What firearms are out there I might like to have that are neat, fun, and cool". 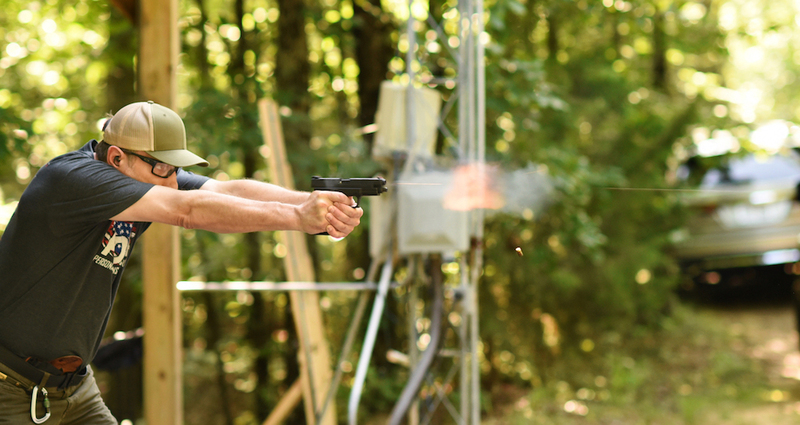 For a more in depth look at the advantages of the modern striker fired pistol, check out Rob Pincus on the Personal Defense Network. In this video from the Personal Defense Network, Rob Pincus discusses more of the advantages to the modern striker fired pistol versus the single action pistol, double/single, and double action revolver. If you aren't a member of the Personal Defense Network, here is your opportunity to join!